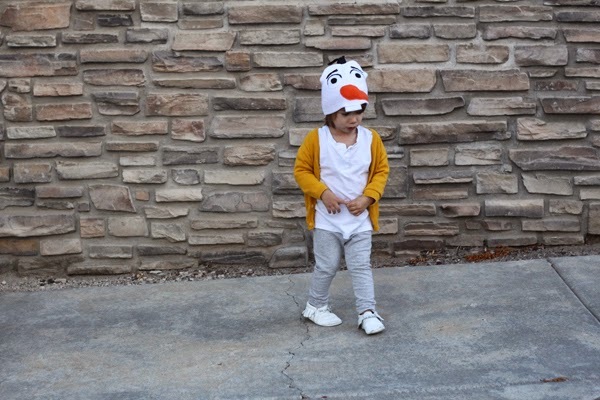 We're still getting a lot of good use out of Jack's Olaf hat from his Halloween costume. "I be Oh-waf!" he says. 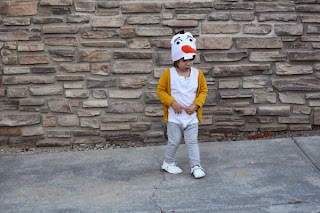 My husband picked up this pair of white moccasins for his costume, and I was a little hesitant because I worried that a day of trick-or-treating and toe-dragging would wreak havoc on their crisp appearance. Enter: Mr. Clean Magic Eraser. There's a reason this thing is called magic. A quick scrub with the little white sponge and they look as good as new. Also, can we talk about leggings for boys? High five to the person who originally promoted that. They're a wardrobe staple for this kid, whether we're doing chores at home, running errands or hitting up the park. He can move around comfortably, and when paired with moccasins, he's a regular old spider monkey. Climbing. On everything.